The diamonds that we cut, polish and then cherish are only a portion of the world’s supply of these precious stones. Many of these millions of stones mined each year don’t make the grade and are relegated to become industrial diamonds, with many uses other than for beauty. 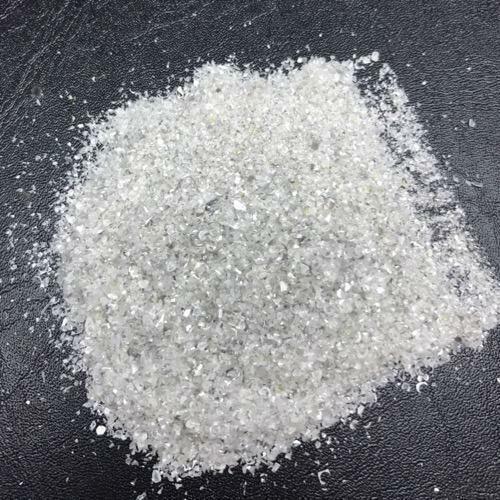 Just as imperfect stones with low quality diamond color serve many purposes as industrial diamonds, the same is true for diamond dust. Diamonds themselves are extremely valuable, as we know, so does the diamond dust also have value? This must be a rhetorical question because the answer is obviously yes. When rough diamonds are cut, tiny particles of the diamonds are left over with each cut. Diamond gemstones have many facets cut into it, some with dozens and dozens of facets, and each one leaves diamond particles called dust. The diamond dust has the same properties of larger diamonds, but the tiny diamond particles cannot be set into jewelry by themselves. It is carefully gathered after cutting, and comes to good purpose in many industries. Since the diamond particles are so tiny, they are mixed with a liquid to cover more area than the solid diamond stones used for industrial purposes. Tools made with diamond dust are generally high quality and last through a lot of wear and tear. Diamond dust is spread along cutting tools like saw blades that cut through hard surfaces. Blades covered with diamond dust are needed for materials like granite, tile and marble that are difficult to saw through efficiently. The diamond dust makes accurate and precise sawing possible in extremely hard surfaces. Other tools such as drills and grinders are also covered with diamond dust, making fine work both quicker and more accurate. The beauty industry also uses of diamond dust in ways to help us take good care of our bodies. Diamond dust particles are used in steel nail files to keep them sharp. Nail polish that strengthens nails and protects them from chipping include diamond dust as an important ingredient. Skin care is also known to use diamond dust, to remove old dead skin and invigorate the skin. Krishna Diam is Manufacturer, Exporter, and Global Sourcing Company from India, engaged in exporting and exporting products. We are committed to bringing you the best available products, along with the highest standards of Quality at optimum price. We always strive to build lasting business partnerships with our clients by offering the best value proposition for the trade.